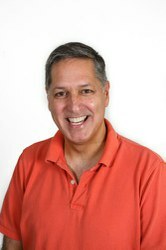 Greg Eghigian is Associate Professor of Modern History at Penn State University (USA). He specializes in the history of the human sciences and medicine. 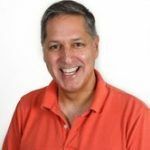 His most recent books include The Routledge History of Madness and Mental Health (2017) and The Corrigible and the Incorrigible: Science, Medicine, and the Convict in Twentieth-Century Germany (2015). He is presently writing a book on the history of the UFO and alien contact phenomenon. 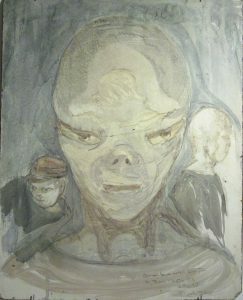 His blog on the history of UFOs can be found at ufopast.com. Find out more! QMUL Centre for the History of the Emotions is hosting a free talk by Professor Eghigian on 4 May, from 6pm. Register online here. For several years now, I have been studying the history of unidentified flying objects and claims of alien contact since World War II. One of the most puzzling things I have encountered, however, is not a specific sighting of some odd aerial phenomenon, not a photograph of a flying saucer, not a report about being abducted by extraterrestrials. Rather, it is this: why have academic historians all but neglected this subject? For seven decades, claims of UFOs from outer space and encounters with aliens have inspired amateur research, enthusiast periodicals and organizations, extraterrestrial contact support networks, government investigations, scientific and clinical research, bestselling books, news coverage, television shows, films, and websites across the globe. Surely a cultural phenomenon this large warrants our attention. Yet, the last and only time a university professor of history published an English-language book on the history of UFOs was in 1975. This was former Temple University professor David Jacobs, and the book was The UFO Controversy in America, published by Indiana University Press. Jacobs, in fact, went on to become a leading proponent of the notion that aliens were in fact kidnapping people in order to colonize earth by breeding human-alien hybrids. While his subsequent involvement with “abductees” has brought him considerable ridicule from his academic peers, his monograph continues to stand alone as a well-researched history of the UFO phenomenon. The absence of historians from the study of postwar interest in flying saucers and extraterrestrial visitors is even more glaring when you take into consideration that researchers in other fields have taken up the issue since the 1960s. 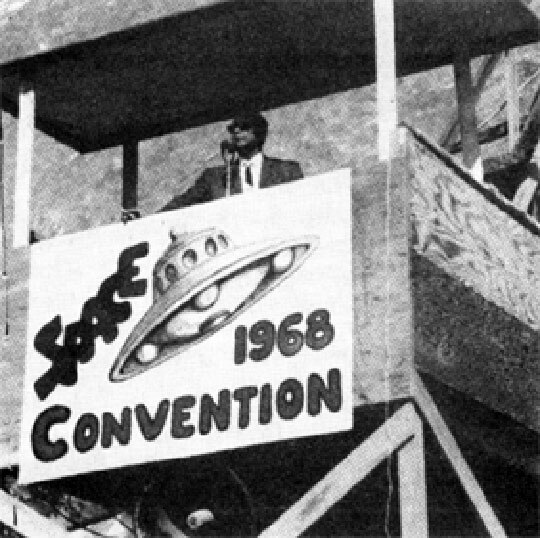 Folklorists, psychologists, sociologists, religious studies scholars, anthropologists, political scientists, neuroscientists, psychiatrists, and journalists have all embarked on any number of research projects designed to understand and explain the perceptions, attitudes, and institutions that have gone into the making of the UFO craze. I would argue, however, that historians have something unique to contribute to the discussion. One of the things we specialize in, for example, is the use of historical sources to explain social and cultural change. And archival sources clearly show that, while interest in the possibility of there being and in communicating with intelligent alien civilizations dates back to ancient times, stories of mysterious flying rockets, saucers, and discs had an identifiable beginning (the two summers following the end of World War II). Records also show that the stories about and responses to the UFO and alien contact phenomenon have changed over time. And in fact, there is reason to believe that interest and involvement in the world of UFOs has eroded over the past two decades. Thus, we need to explain how this all began, how it has changed, and why it may be dissipating at this time. Another thing to explain is the phenomenon’s remarkable resilience. Folklorists, for instance, have sometimes relegated flying saucer sightings and alien abduction reports to the status of “urban legends.” This may well be true, but in my view, only in part. We have to acknowledge that the UFO and extraterrestrial contact phenomenon has flourished in a categorically different way from things like Slenderman or Satanic ritual abuse, for example, by giving birth to and sustaining a host of long-lasting, influential preoccupations, pastimes, and institutions. 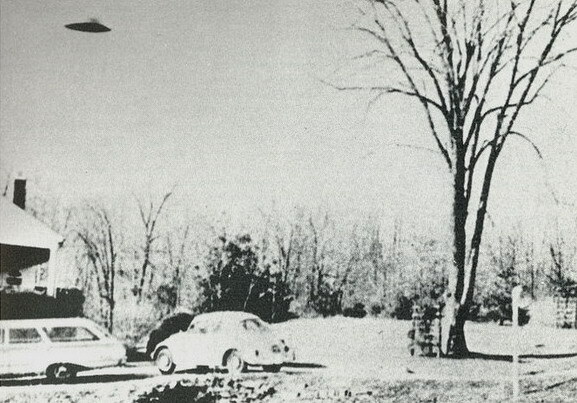 Somehow, the obsession with UFOs did not unravel over the years, despite numerous obstacles. How do we account for this? Finally, there is plenty for the historian of emotions to explore as well. What kinds of anxieties, enthusiasms, and disappointments helped shape and sustain UFO buffs? What kinds of different affective registers did groups like the British UFO Research Association (BUFORA), the Raëlians, and Budd Hopkins’s Intruders Foundation call on to solidify their communities? To what extent have fears about changing political and social circumstances played a role in feeding conspiracy theories among ufologists? So why then have historians been so silent on this topic? It’s difficult to say with any certainty. The experience of David Jacobs may be instructive. Throughout its history, the study of UFOs and aliens has been roundly dismissed by the academy as pseudoscientific silliness. To get near the subject makes one in some way suspect. I myself have experienced this at times with colleagues when I tell them about my research: some have asked if I am “one of those people,” while others have warned me to beware of “going native.” But as I noted earlier, a host of academic researchers from other disciplines have delved into the subject without any adverse repercussions. So professional stigma alone seems insufficient to explain historians’ silence. It would appear, then, that their silence also requires historical explanation. This entry was posted in Emotional Currents and tagged alien contact phenomena, Centre events, history of science, Horse Hospital Event, science fiction, UFOs by Sarah Chaney. Bookmark the permalink.